New Horizons IV discovered that 13% of youth travellers undertook a work experience trip in 2017. Roughly half of these travellers took part in formally organised work abroad programmes. Projecting these figures to the global youth travel market as a whole suggests that there were about 5.9 million international work experience participants in 2017, representing growth of almost 10% since 2012. Youth travellers who booked a formal work experience programme were more likely to agree they had gained a series of benefits from the experience compared to those who did not book a programme. These benefits included improved language skills, more appreciation of other cultures, and a desire to live abroad. Work experience programme participants tended to spend more in total for the trip as compared to those who did not book a programme. In general, work experience travellers were more likely than other youth travellers to pay for travel upgrades, particularly accommodation. Sharing economy type accommodation in particular was popular with work experience travellers, followed by hostels and hotels. It is notable that work experience participants reported a greater mix of accommodation types than other youth travellers, mostly likely because they tend to be on longer trips and are travelling before or after the work programme. “Accommodation providers who have not considered targeting youth on work and travel experiences should reconsider this. Although youth on this type of trip are looking for a longer-term stay option with self-catering facilities, there is a mix of accommodation being used, suggesting a fair amount of secondary travel while in the destination to make the most of the trip,” said David Chapman, Director General of WYSE Travel Confederation. 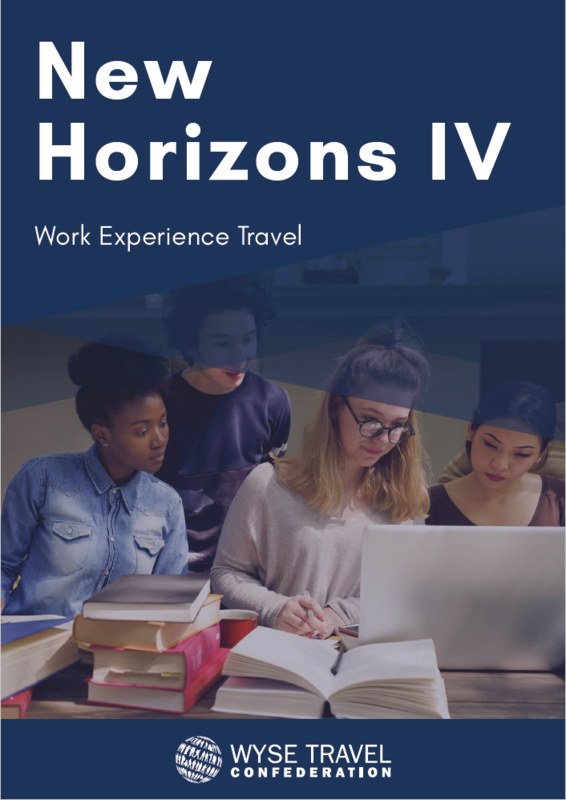 Read more about youth travel and work experience in the publication New Horizons IV: Work Experience Travel by WYSE Travel Confederation. WYSE Travel Confederation would like to extend special thanks to International Experience Canada, Alliance Abroad, DR-WALTER Insurance Brokers, and CultureMee for their support of this publication.